Have a freezer full of frozen blueberries? 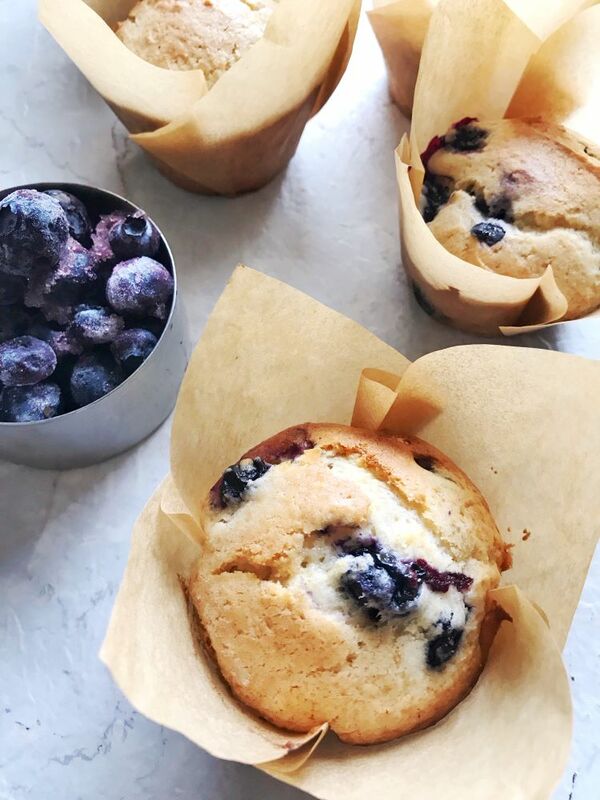 Use them to make these moist blueberry muffins. During the summer, I always make sure we freeze berries and fruit when they are in abundance. My favourite fruit to freeze are blueberries and cherries. You can do so much with them – like baking and jam. It’s always nice to enjoy those summer fruits throughout the year. My first instinct when I see a bunch of ripe bananas is to make banana bread. I decided to change it up a little today and make some muffins. 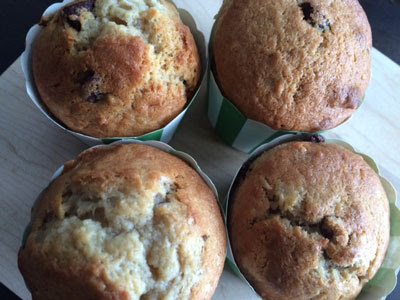 It’s always nice to have something baked for school lunches or for an afternoon treat. 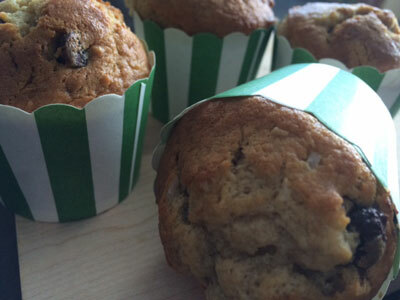 These muffins feature bananas and are complemented with chocolate chips, coconut and pecans. It made the perfect after school snack! Cream the butter and sugars. Add eggs and vanilla and mix. Add the flour and baking soda and mix until incorporated. Add the remaining ingredients until well mixed. Bake at 350 degrees for 20 – 25 minutes.